Hi guys, what's been on? Sometime last month, Glow (one of the naturalistas I've been mentoring) decided it was high time I did the elusive wash and go on her hair!!! You all know I heart this style but most people are of the opinion that not every hair type can achieve a well defined wash and go! I don't agree but like all things grouped under "personal opinions", I live and let live. What is a wash and go? A wash and go is simply wearing your hair in its natural curl pattern without manipulating the texture with stretching... twist outs, Bantu knots outs, braidouts or curl sets. Will a wash and go change my curl texture? Wash and go's will not change your curl texture. It just captures how your curls behaves when saturated with water and locks it in...shikena! I think the reason most people struggle with wash and gos is they have another naturalista's wash and go texture in mind when doing theirs. How long does a wash and go last? It lasts anything between 2-4 weeks. 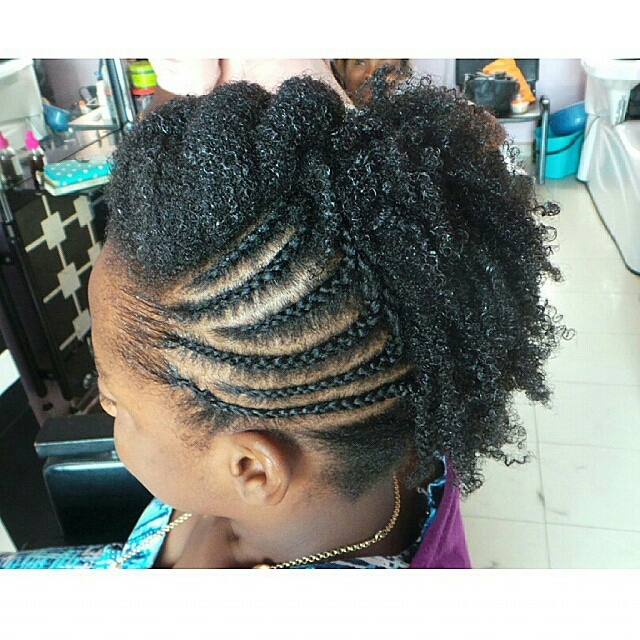 I love it because unlike other styles such as twistouts, it's not unpredictable in the Nigerian humid weather. Unless my hair is damaged, the results I get from a wash and go are pretty consistent. Also, I have no fear that it will puff up or lose definition. 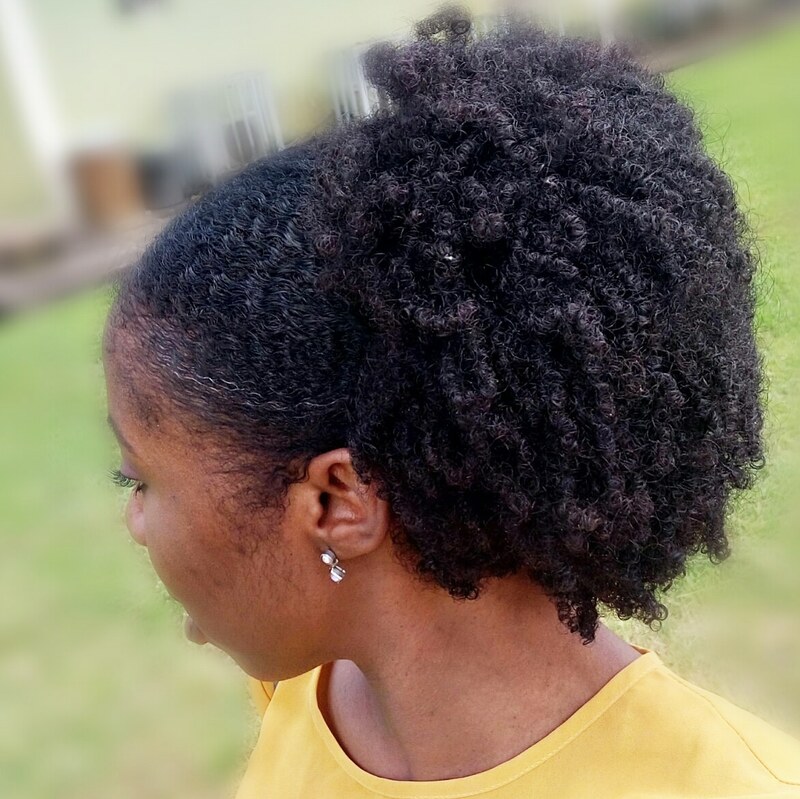 Is a wash and go a good protective style? Protective styles are styles that protect your hair by reducing mechanical damage due to manipulation. Wash and go's achieve this because..
- You're working with your texture so you don't need to redo at night like twist outs. - You don't need to comb your hair often. How do I prepare my hair for a wash and go? We worked together to prepare her hair for a wash and go by doing the following over the course of a month.. There's no curl definition if you comb through your curls regularly, mama! - Reduce the frequency of cornrows, weaves and styling with extensions. If you don't have a stylist that's knowledgeable about natural hair care, your hair can be damaged while styling. This is also one reason you find it difficult to retain length. Shampoos can be drying. Seriously. You know how your hair curls when you drench it in water?! The goal of a wash and go is to capture your curl definition and curly definition is more pronounced when your hair is saturated with moisture. 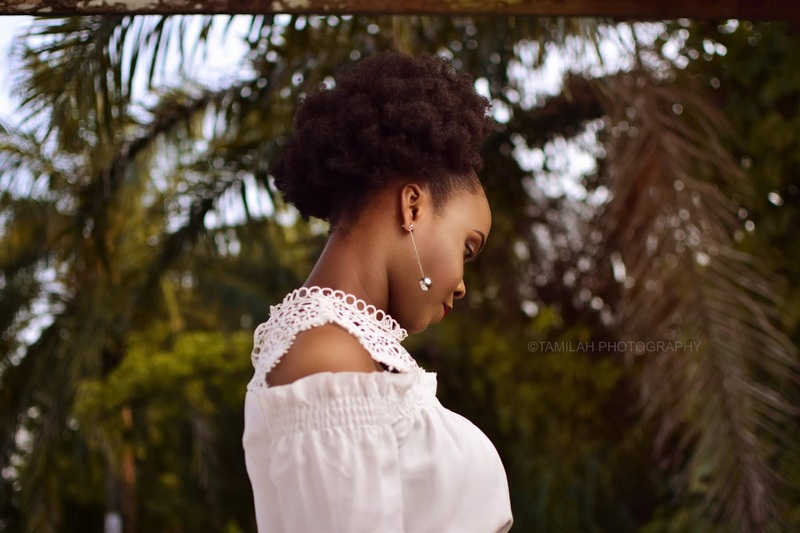 While this post is not an advert plug for the Kit, I had to mention it because it played a key role in preparing her hair for the wash and go. Nappy Girl Hair Kit is a personalized kit. Simply put, I'll assess your hair using an in-depth questionnaire. Then I'll put together products and create a personal regimen that will help you achieve your hair goals. "...be able to do a wash and go"
....and I had to select products that will give her maximum hydration for better coil definition. Glow has 4c hair type with medium porosity, medium density and fine to medium strands. 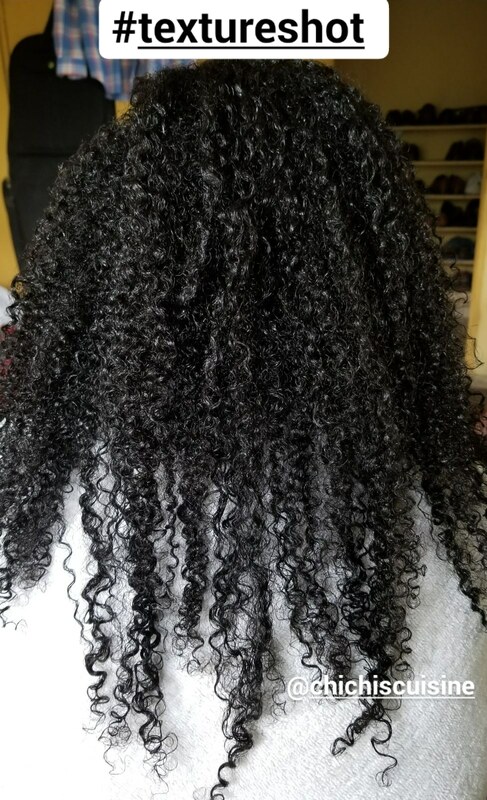 She's been natural for about 2 years. I cowashed her and did an Apple Cider Vinegar rinse using 1 part vinegar in 2 parts water. Then I blotted off excess water and deep conditioned her hair for 30 mins and rinsed off. 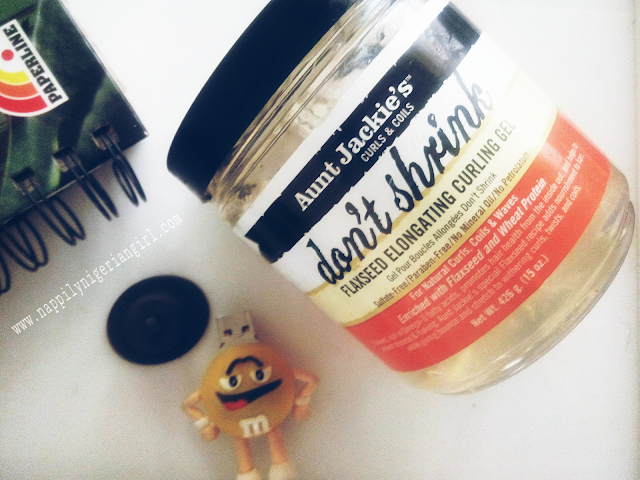 I removed excess water because I like doing a wash and go on damp hair. In my opinion, it's quicker and less messy. Also, I noticed that for Type 4 hair, it helps holding products like gels and curly refiners do their job better. What products can you use for a wash and go? I used a 50:50 mix of Ecostyler Olive Oil Gel and Shea Moisture Curl Memory Leave in Conditioner. Seriously, this combination works beautifully! I find that using Ecostyler on its own tends to dry out hair, leave flakes and don't play nice with other products. Then I used the 'praying hands' method to distribute products through small sections of hair and loosely twisted. Loosely twisting helps stretch out coils for an elongated look. 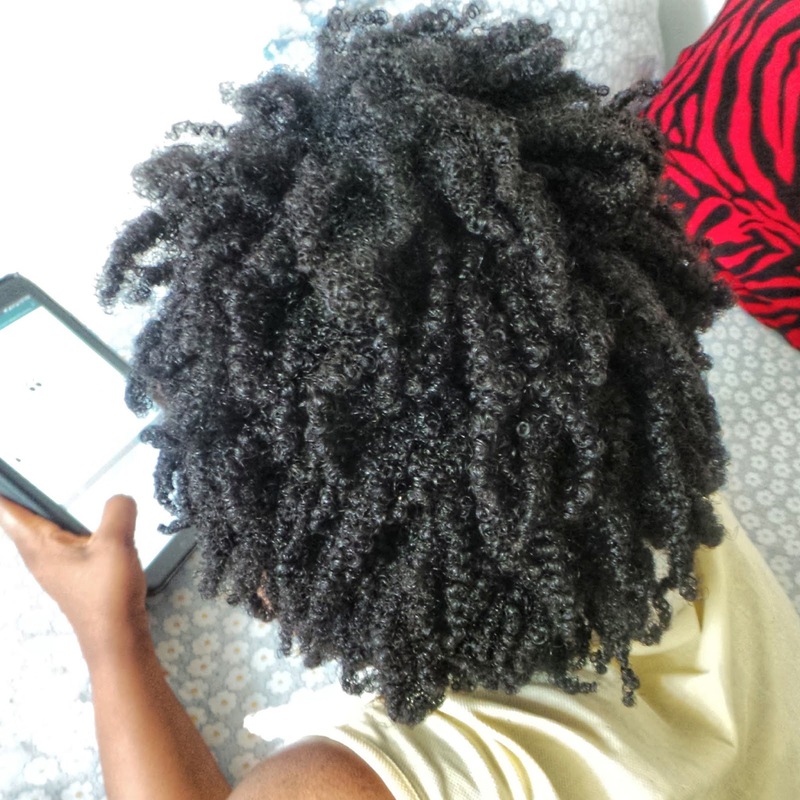 She also has 4c hair and I enlongated her coils with a blowdryer set on cold. This is another way to stretch if you don't have the time to loosely twist. Here's a recent wash n go on my own hair. Can you peep my silver streaks?!!! Hopefully, this post was able to answer any questions you have on this style. If it didn't, don't hesitate to ask in the comments sections.